Snowmobiles, ATVs and service are our business. We offer a range of products and services to keep your sled or ATV on the trails. 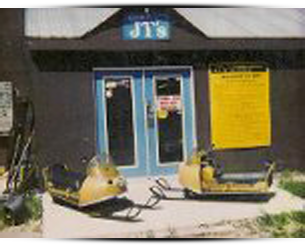 JT's is located in the town of New Lowell, Ontario. Travelers by snowmobile can use the Ontario Federation of Snowmobile Clubs trails right to the front door. If you can't make it to the shop we can ship you our product to any place in the world.